I can’t even begin to tell y’all how much convincing it took for me to pull the trigger on this 3.1 Phillip Lim Top. I was shopping with my Mom at Roan Shop in Richmond before Fashion Week, and it took me so many different try-ons to finally decide I could pull it off. Its an absolutely amazing piece, but I just wasn’t sure it was quite right for me. However, I take my Mom’s opinion pretty seriously and decided to take it home with me. 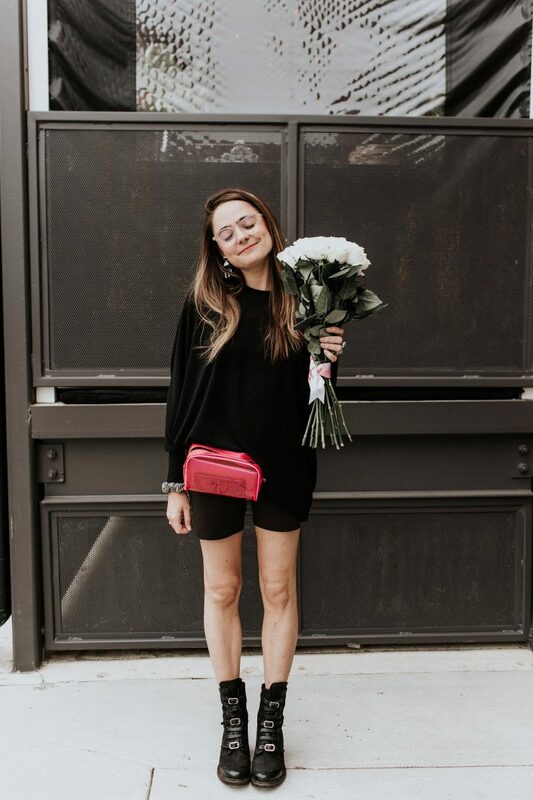 I wore it multiple times during NYFW and upon our return, I rediscovered this old pair of 7 For All Mankind jeans and they seemed to be a match made in Fashion Blogger Heaven. I don’t by any means want to take the attention off of this awesome piece or anything else about this outfit for that matter, but I have to mention the awesome backdrop. Richmond is such an up-and-coming city and our art scene is no exception. Whenever we are gallivanting around town taking photos, we are always trying to incorporate something about the city as well. In this case, it is the amazing old Bus Depot that is covered in Street Art. Keep an eye out on our future posts for more eclectic scenes from around our beloved city. Fringe Top, 3.1 Philip Lim. Jeans, 7 For All Mankind (similar here). Boots, Rag & Bone. Sunglasses, Prada 14SS. Bracelet, Chan Luu & Silpada. Ring, Silpada. Bag, Louis Vuitton (c/o Bag, Borrow or Steal).